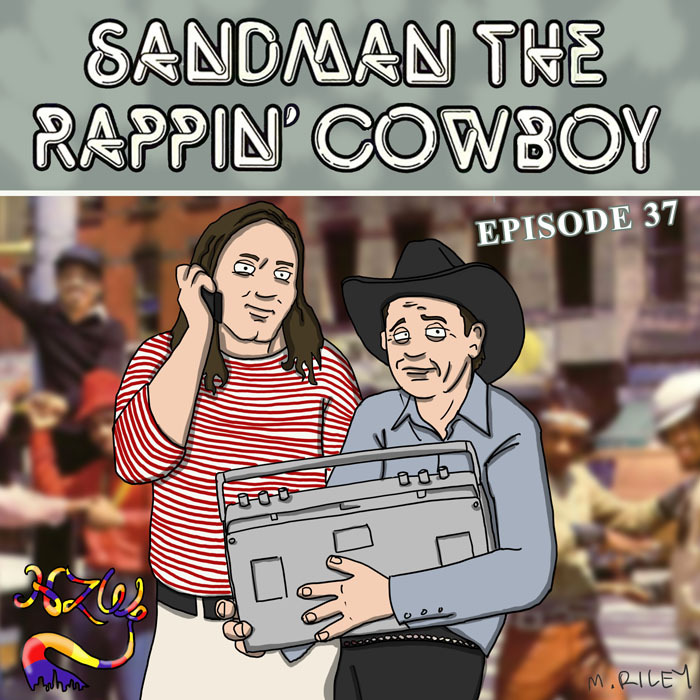 My guest this week is Chris Sand, aka Sandman The Rappin’ Cowboy. He’s been on a rapping/cowboy poetry mission since the late 80s, and he’s released twelve albums since 1996. We met during my tour stop in Missoula, MT, and he was nice enough to lay down an impromptu interview. He talks about growing up on the Flathead Indian Reservation in Western Montana, and how hip-hop captivated the young kids on the reservation in the early 80s. He tells me about starting out doing rap sets in Missoula in the late 80s, and learning to work folk music into the mix. We discuss his three year hiatus from music, and and how he returned to the DIY touring world with a new way of operating. Mike Riley’s art this week is an homage to Grandmaster Flash and The Furious Five’s The Message. This episode is hosted by Splicetoday.com. Posted on April 20, 2015 June 30, 2015 by height keech	Bookmark the permalink.